Temperature’s going down again, but at least the rain’s let up for the moment. Yesterday, I got some work done on the short story. I think it will be ready to go out on Monday (it’s due on Wednesday). As I was going to sleep last night, I had an “aha!” moment about it, which I will have to work in to the text today. I sent off my proposals and we’ll see what happens next. I also worked on a counter proposal to the other contract negotiation. We’ll see if that works for both of us. If not, we part ways and wish each other well. I’m done accepting work for so far under my rate that it costs me. Pay me a fairly for a fair day’s work, or hire someone off Craigslist with no credits who mixes up possessives and plurals. Turning over and over the themes and actions for the play. 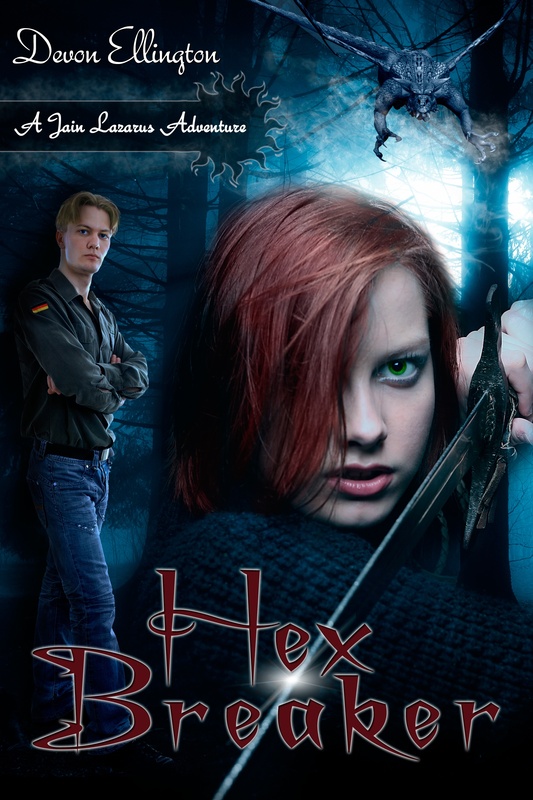 I hope to get a good chunk of it written this weekend, once the short story is done and simmering, prior to its final polish. Worked on contest entries yesterday, and also on the research for the Italian Renaissance play. Found a tangent to my research — something very, very cool, but off-topic. However, it’s so cool that I made note of the sources and started a fresh file, so that I can go back and build a project just around that in the future. Fascinating tangents are a pitfall of research. Many sniffily advise to “just ignore them.” I take notes, especially for sources, so I can go back to them once the project I’m researching is done. I find that works better for me — I don’t waste time on tangents (fifteen minutes to note sources is reasonable, in my opinion), and I don’t resent losing something interesting. Did some political work, and have more to do today, including a potentially contentious encounter with someone whom I don’t think is living up to the obligations of the job. One of my favorite authors, Nicole Peeler, has started a virtual book club as part of her activist and educational work. I joined, and ordered the first book. I’m looking forward to it — she’s putting together a smart group of people, and I think we can have some invigorating discussions. I’m re-reading AS Byatt’s novel POSSESSION. I re-read it regularly, and it remains one of my favorite novels, although I wasn’t crazy about the film adaptation. I always get something new and nourishing from the text, as one does from well-written material. I had hoped to get to Cape Cod National Seashore today, since our National Parks are about to be sold off, and I’d like to see it one last time. I don’t think I’ll make it until next week, but I’m determined to get there, thank the rangers in person, and take one last look before the destruction. Wasn’t the Preakness great? Go, Rachel Alexandra! And Mine That Bird ran a great race, too. We hit the road around noon on Tuesday, deciding to leave a half a day early. The weather looked great, and it seemed like it would be a great day. And then we hit a bad storm around New London. But we drove through it, and by the time we hit Rhode Island, it was gone. The storm moved west to east, and we drove south to north. We chose a motel in the middle of Hyannis — we got a great deal on the room, and it was simple, no frills, but fine. I probably wouldn’t choose to stay there again, unless I had no other choice, but, for what I needed for research purposes, it was fine. It was clean and plenty of hot water, which are two of my top needs. We walked around town for a bit. For an affluent, rather famous community, I found it disturbing that there were so many homeless, mentally disturbed people wandering around,, and so many bored teens looking around for trouble. I immediately went into my I-Lived-on-the-Deuce-and-you-didn’t-so-don’t-even-think-of-messing-with-me mode. They didn’t. These kids may be bored, but they’re not stupid. We had a fabulous dinner at a restaurant called Alberto’s — I had amazing mussels, and when THIS restaurant makes a house salad, it’s an assortment of greens, blood orange slices, walnuts, shredded carrots and prunes with a homemade vinagrette — wonderful. Quite different from the supposedly excellent Italian restaurant on the night I went out to Long Island to see my play, who considered their house salad iceberg lettuce with Thousand Island dressing. The wine, a California pinot noir, was okay, but not brilliant. The chocolate mousse, however, was sublime. Got some work done in the evening. It helps, bringing the laptop, although I couldn’t get the wi-fi hook up to work. Oh, well. I had the yoga mat, so I could stay on schedule with the yoga. Up early the next morning — coffee, yoga, but not much writing. I was in reasearch/experiential head, not writing head. We had a great breakfast at La Petite France Cafe — the food’s very good, the service is good, and the guy behind the counter is very nice. He’s there if you want something, but doesn’t try to be best friends just because you walked in the door. Hit the road early, travelling East. I’ve been to the end of the Cape’s seashore, The Province Lands, ever since I was a little, little kid. But I never investigated the other end, the Eastham end of the shorelands. So, we went to the National Seashore and walked the trails for several hours. I took a lot of photos. It was thrilling to see so many red-winged blackbirds so close, and to hear the frogs chatter, and the ospreys and swans and all the rest. Truly gorgeous. It was a wonderful day, and plenty of benches. We could just sit and BE. The beach plums were in full bloom — gorgeous white flowers. One of the rangers told me I hit it just right – they weren’t in bloom last week and wouldn’t be in bloom next week. Good timing! I picked up some materials in the bookshop, including a volume of letters from whalers to their families, put out by Descendants of the Whaling Masters. How’s that for a name? On the spur of the moment, we turned to Nauset and went down to the beach and the lighthouse. I have a fondness for lighthouses anyway. This one was gorgeous, and, yes, still working. We went down to the beach — gorgeous light green water close to the beach, deepening to cobalt blue farther out. We sat on the beach for awhile, watching dogs play and someone try to surf. I gathered up stones. And then we headed back to the lighthouse. It was still too early for the lighthouse to be open to the public during the week, but one of the workers was there to do something inside and asked if I wanted to come in. Yes! While she did what she needed to do, I got to climb around and explore the lighthouse on my own. It was fabulous! It’s a small house, without living quarters attached, but still a working light. It’s just beautiful. And it was so generous to let me in. Lunch at a great, family-run fish shack called JT’s — terrific cod burgers with wonderful fries and coleslaw. Then, it was back towards Brewster, to the Cape Cod Museum of Natural HIstory, one of my favorite places on the cape, to walk the trails on Wing Island. They have an “osprey cam” set up — a camera on an osprey nest, so you can watch the young osprey develop. I didn’t go inside to watch this year — last year’s batch where quite the little hams! The trail was lovely, and the wildflower garden was also beautiful. I would say we walked at least ten miles over the course of the day. And we were in serious need of salad for dinner, so it was chicken caesar salad for dinner, and a quiet evening reading the materials I collected and typing up notes. The Helena Francis books are set on the bay side of midcape, and parts of the Matty book take place at the Natural History Museum and the shorelands, plus I’m thinking of setting a YA in the area. Thursday was cloudier and windier. We ate at La Petite Francaise again, and headed out the door early. This time, we headed back over the Sagamore Bridge, off the Cape, to Plymouth. The Matty book is set along the coast just below Plymouth, and I wanted to get some geographical details and some photographs of the stretch where I want to place the house. We did all that, made a wrong turn and wound up in the center of Plymouth, which was okay, because I could grab some more pictures of where I want to set one of the confrontations. Then, it was over to Buzzards Bay. There’s a marine life rescue center. I wanted to visit and maybe pick up a book on turtles, since turtle rescue is part of what they do. One of the characters in the Matty book loves turtles. I’d hoped to find one at the Natural History Museum, but the only one I found was large, unwieldy, and didn’t focus on Cape area turtles, which is what I need. On the way to the center, we stopped to stare at the Railroad Bridge. It moves. In other words, the center span is stored in the “up” position, allowing boats to travel the canal freely. When a train comes across, it lowers so the train can actually cross the Canal. We happened to be there as they lowered and then raised the span. Fascinating. And yes, I will post photos. Unfortunately, the Marine Life Center is both under renovation and not open for the season. I’m going to contact them about visiting in the fall. There’s an event I hope to cover in the area in September — just a few days after I get back from Prague. Maybe I can come out a day or so early or stay a day late and visit the center. We headed back over the Sagamore Bridge and over to the Canal Visitors’ Center in Sandwich. They did a fantastic job — the museum is wonderful, and the educational DVD about this history and building of the Canal is one of the best of its kind. What I found interesting was that August Belmont — think Belmont Park Race Track here in New York — was the one who built the first canal as a toll thoroughfare. However, it was too shallow, and, due to the amount of accidents, failed. The Army Corps of Engineers took over, redug it during the Depression (in an example of an original stimulus plan), and now it’s a very active channel — and Cape Cod is an island, not a peninsula! We walked to the point where the canal ends and the bay begins. Turning back, I saw that they use actual traffic lights — the yellow metal lights, like they do on the street corners — for the channel. It was pretty funny. Next stop, Sandwich, just about my favorite town on the Cape. Dashed into their wonderful library, checked email, got a few responses out, Twittered quickly, and was done They use Windows Vista — what a nightmare — everything was so slow and had to be done twice. Typical Dell/Windows! Then, it was over to the Sandwich Glass Museum. The work there is fantastic, and I learned a lot about glassmaking. The demonstration was fantastic, and the woman who gave it was terrific. I wanted to slap the man sitting in front of me upside the head — instead of appreciating the delicacy required in rolling and pulling the glass, he wanted to see her make a show of the blowing — which, it turns out, is a very small part of actually working the glass. Instead of being excited to learn the intricacies and delicacies of how it’s actually done, he wanted to see what he expected. Moron. In the gift shop, I found a history of the Orleans Inn at such a good price I was afraid it was a misprint. But it wasn’t, and I snatched it up. Can’t wait to read it. We drove to Barnstable and the Sandy Neck beach. By now, it was cloudy and very, very windy. The beach is lovely, and this is the area where I’ll stick Collier’s Cove, the setting for the Helena Francis mysteries. We had lunch at the Beehive Tavern in Sandwich — fantastic! I had some locally brewed Cape Cod Summer Ale. I’m very fussy about beer and ale, preferring wine, but this was terrific. And I had a wonderful sole stuffed with lobster, vegetables, and rice. Really, an excellent meal, great service, great atmosphere. Definitely a place I’d go again. We headed down to Chatham for a look around, and then picked up some food from a local, mom-and-pop deli on the way back — a chicken salad with cranberries and walnuts, which was great. Another quiet night full of typing up notes and reading. And watching playoff hockey, Boston vs. Carolina — heartbreaking loss for Boston in overtime. Friday morning was rainy, so we headed back right after breakfast (again, at the cafe). A big bus nearly crushed me twice near the canal. I got its information and plan to complain to the company. I’m sorry, you don’t come to a dead stop in the middle of a roundabout and then suddenly swerve to a turnoff you’ve already missed, ignoring the cars around you — after you already nearly forced me into construction nearly a half a mile back. Not acceptable. Traffic was an absolute nightmare around Providence. I swear, Rhode Island has some of the worst drivers I’ve encountered anywhere in the world — and I’ve driven many places in the world. They’re even worse than New Jersey drivers. Couldn’t make good time coming back from the Cape — combination of weather and traffic. Managed to stop in Niantic at the Book Barn, where I played with the cats and got a stack of books, including several on the Cape and several books I’ve wanted for years! Lunch in Niantic, and then continued back. Stopped at the apartment to switch out some stuff and then continued down for the Preakness. Horrible traffic, early night. The races started really early Preakness Day. And the temperature was a good twenty degrees higher than it was on the Cape and muggy. I expected a deluge any minute, but the rain held off until there was a light shower just as the horses went to the post for the Preakness itself. As thrilled as I was by Rachel Alexandra’s win, I just wanted to be home by the end of it all. I was supposed to leave revoltingly early this am to head back up to MA for the US Olympic Women’s Hockey Team tryouts, but that fell through. As annoyed as I am with USA Hockey right now, I’m also relieved not to spend six hours on the road today and six hours watching tryouts at a hockey ring. 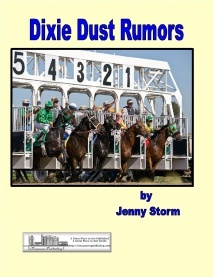 I’ve got to finish my post-Preakness article and get if off to FemmeFan, and then take a final look at the DIXIE DUST proofs — the last round of corrections arrived while I was gone. The next assignment for Confidential Job #1 came in, I have client projects to work on tomorrow, and some reviews to do this week for A BIBLIO PARADISE. UHaul again made me livid, and it’s time to file charges with the appropriate authorities. Enough already. Read one of the books I bought in Niantic already — THESE RUINS ARE INHABITED by Muriel Beadle, about her family’s year at Oxford University. It was published in 1961, and it’s funny how little has changed, and, of the changes that have taken place, which ones. I hope to take it a little bit easy today, but I’d like to get a jump on all the work stacked up for the coming week.